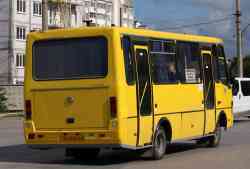 Republic of Crimea Simferopol, intercity buses, others В 039 ТН 82 04.2016 ИП Пузин А.Е. АК 4825 АА 10.2011 04.2016 ЧП Пузин А.Е. 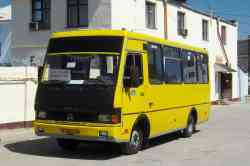 Facility: OOO "Transport Company "Irina"
Republic of Crimea → Simferopol, intercity buses, others → BAZ-A079.14 "Prolisok"
Republic of Crimea → OOO "PF "Stroymontazh" → BAZ-A079.14 "Prolisok"
Republic of Crimea → IP Samko G.V. → BAZ-A079.14 "Prolisok"
Republic of Crimea → OOO "MirAvtoTur" (closed) → BAZ-A079.14 "Prolisok"
Republic of Crimea → OOO "Transport Company "Irina" → BAZ-A079.14 "Prolisok"
Republic of Crimea → Симферополь и Симферопольский район → BAZ-A079.14 "Prolisok"
Republic of Crimea → Симферополь, прекратившие деятельность перевозчики → BAZ-A079.14 "Prolisok"
Republic of Crimea → OOO "PF "Stroymontazh"
Republic of Crimea → IP Samko G.V. 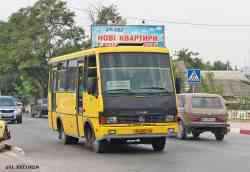 Republic of Crimea → OOO "Transport Company "Irina"
Republic of Crimea → BAZ-A079.14 "Prolisok"